Rafael Moneo was a globally acclaimed and applauded Spanish architect, and proud recipient of the prestigious Pritzker Architecture Prize. 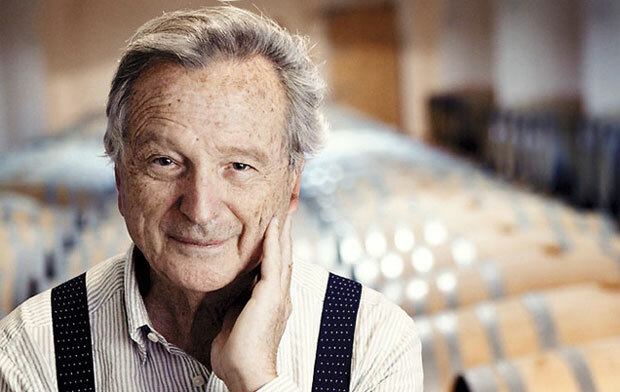 Jose Rafael Moneo was born on May 9, 1937, in the small town of Tudela, Navarra, Spain. His father, Rafael, worked as an industrial engineer, while mother, Teresa was the daughter of a magistrate of Aragon. Jose was a bright student and showed deep inclination towards art and philosophy, however, influenced by the work of his father, he choose to pursue architecture as a career. He attended the Madrid School of Architecture, where he studied under the direction of Professor Leopoldo Torres Balbas. In 1961, he graduated with a degree in architecture. Following the completion of his degree, Moneo decided to travel to Hellebaeck, Denmark, in order to fulfil his dream of working with the architectural genius, Jørn Utzon, whom Meneo regarded as “the legitimate heir of the masters of the heroic period.” He assisted Utzon on the design of the Sydney Opera House in Australia. Menoe returned to Madrid in 1962, and took part in a contest held at the Academy of Spain in Rome. He won the contest, and he was awarded a two year Fellowship at the Spanish Academy in Rome. During this period, Meneo conducted extensive travels, studied influential works, and met eminent scholars, musicians and painters, such as Zevi, Tafuri, Portoghesi, and other, which proved to be detrimental in his artistic growth and furthering his career opportunities. In 1968, Moneo was commissioned on his second most significant project, the Urumea, an apartment building in San Sebastián. In 1974, he collaborated with Ramon Bescos, to work on the Bakinter Office Building, which marked his first commission in Madrid. Later, he was also appointed to design the City Hall for Logrono. In 1976, Moneo was invited to the United States and offered a visiting Fellowship at the Institute for Architecture and Urban Studies, New York, for a year. At the same time, he was also offered a teaching position at the Cooper Union School of Architecture, New York. During the 70s and 80s, Moneo served as a visiting professor at the schools of architecture of Princeton and Harvard Universities, along with the University of Lausanne, Switzerland. In 1980, he was appointed a Chaired Professor at the School of Architecture in Madrid, he served this position for the next five years. During the same year, he was appointed to design the Museum of Roman Art at Merida. In 1982, he was commissioned on the Prevision Espanola Building at Seville. In 1984, Moneo was appointed a Chair at the architecture department of Harvard University’s Graduate School of Design, he held this position for the next six years. In 1992, the celebration of Spain’92, brought Moneo an influx of important projects, including the San Pablo Airport, Seville; the remodelling of the Villahermosa Palace to house the Thyssen-Bornemisza art collection; and the Diagonal Building in Barcelona. He took part in two competitions and succeeded to win them, the Kursaal Concert Hall and Cultural Center at San Sebastián and the Museums of Art and Architecture in Stockholm. In 1991, he was named the Josep Lluís Sert Professor at Harvard, he continued to teach there for two weeks, every spring semester. Moneo conducted extensive travels all over the globe to deliver lectures at prestigious institutions including the Universities of Chicago, Columbia, Princeton, Yale, Tulane, Rhode Island School of Design, the Architectural Association School, the Royal Institute of Architects in London, the Cambridge University School of Architecture; Nihon University, Japan; the Academy of Fine Arts in Vienna, the Royal Academy in Copenhagen, Denmark; the Louvre Museum in Paris, France; and Pontificia University of Chile in Santiago. Moneo has published numerous articles for prestigious architectural magazines, including the Oppositions and Lotus magazines and Arquitectura Bis. Some of the iconic and widely praised design by Rafael Moneo include the central offices of the Bank of Spain, the Architectural Association of Tarragona building, the Pilar & Joan Miró Foundation and the Refectory of the Monastery of Santa María de Guadalupe.